The Underground Sessions at Gibney Powered by Everybody Dance Now! Explore the various elements that helped shape the underground dance scene. This one-of-a-kind series will lead you from the eras of funk through modern-day hip hop, helping you understand the moves and their origins. 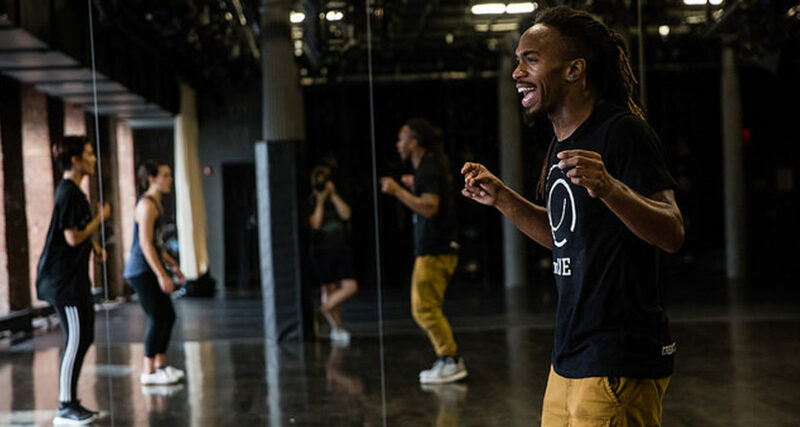 Learn from pioneers in hip hop and street styles through a six-week beginner series. All levels welcome. Bring your dance shoes, questions, and an open-mind. About EDN! : Everybody Dance Now! serves youth throughout the nation through hip hop and street dance — using it as a tool to educate, inspire and build community. Through weekly classes, they address risk factors in the lives of youth; contribute to the growth and diversification of the arts and entertainment economy; and help increase school engagement and career success for youth in low-income communities. Join us in bringing bring dance instruction to all ages and backgrounds in the city. Proceeds from class will help support outreach across the city. Q Arnold Hip Hop Classphoto by Scott Shaw.